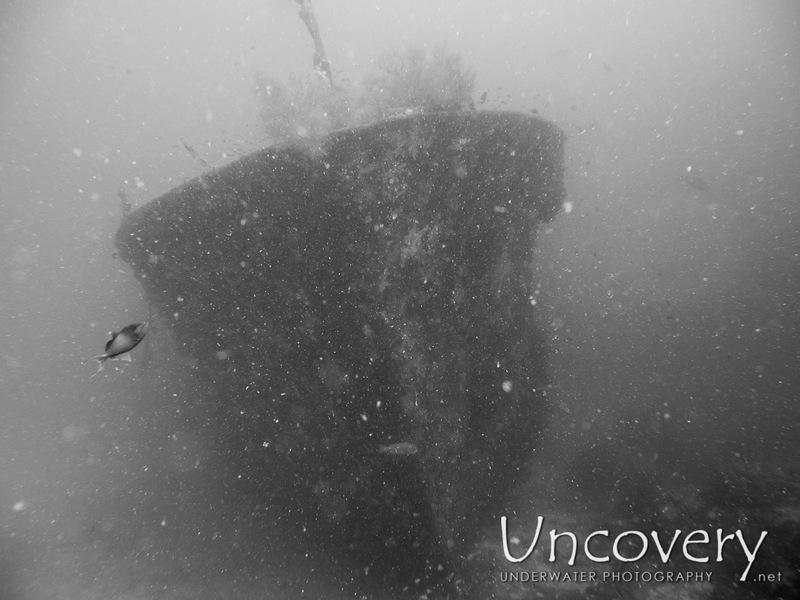 Back to the wreck! 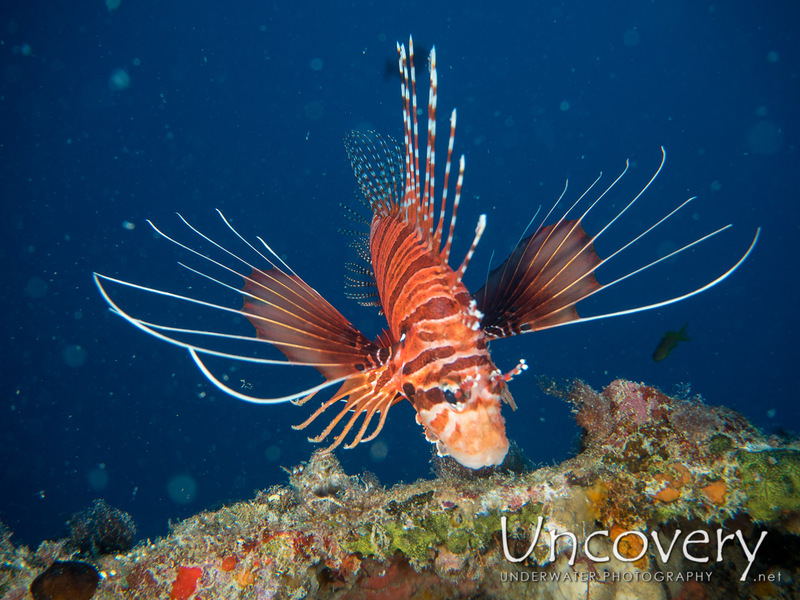 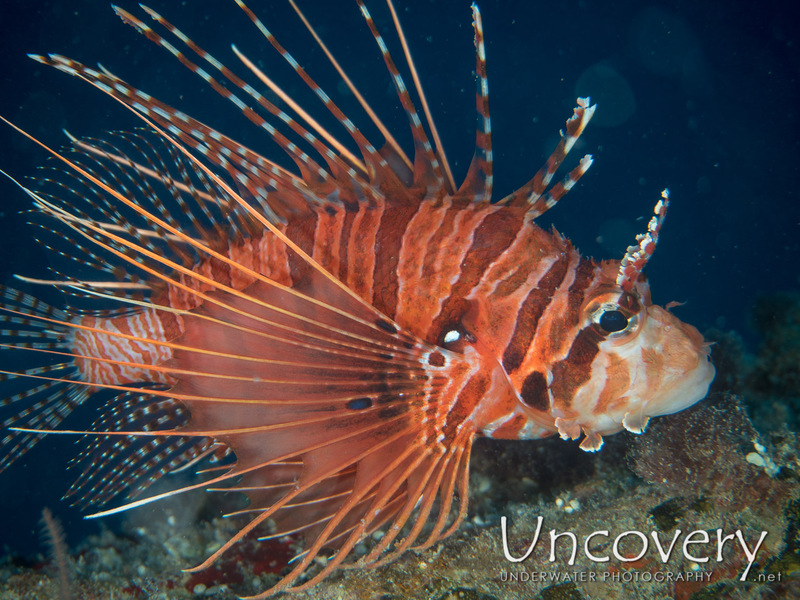 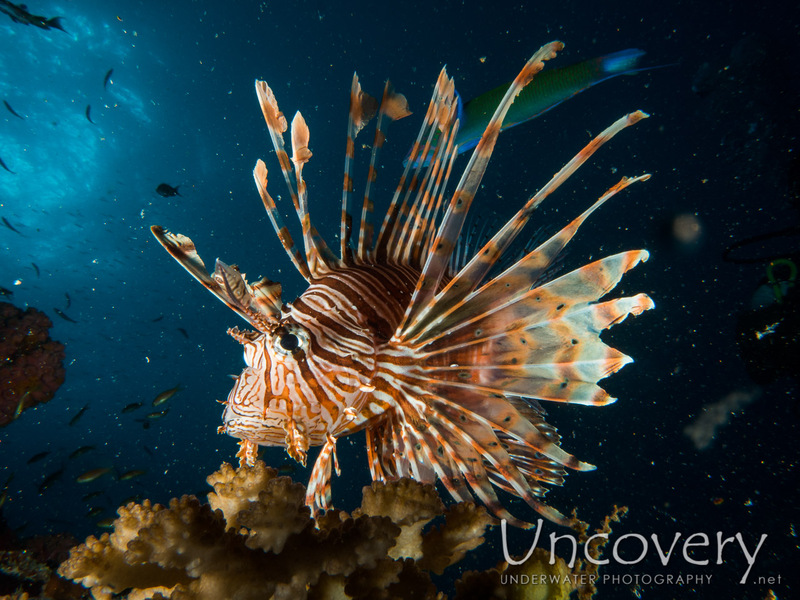 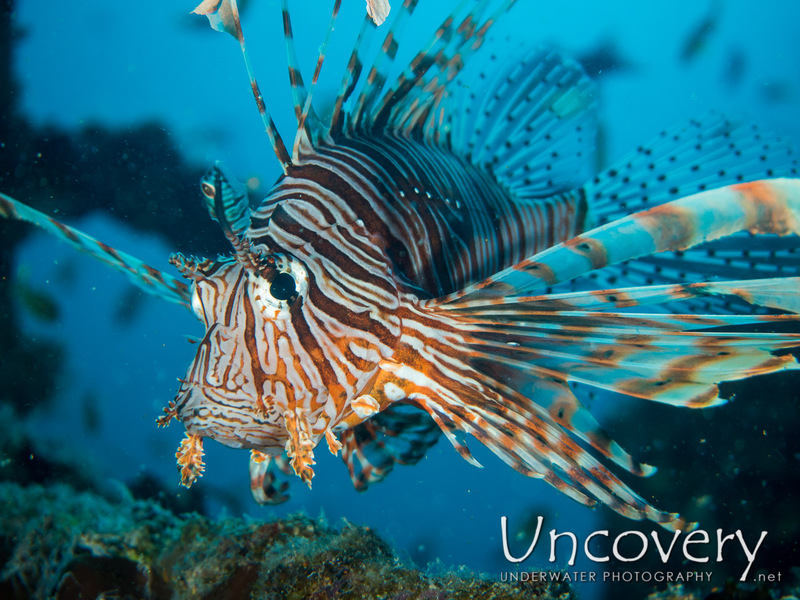 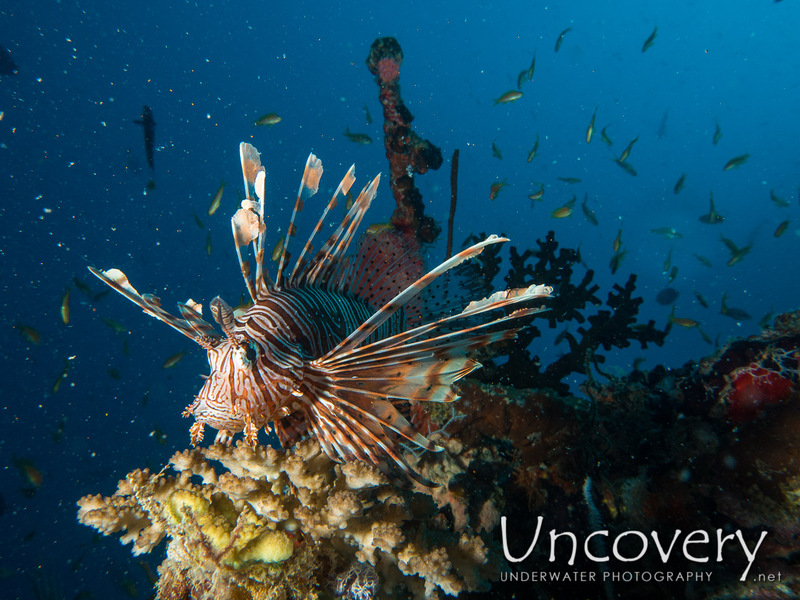 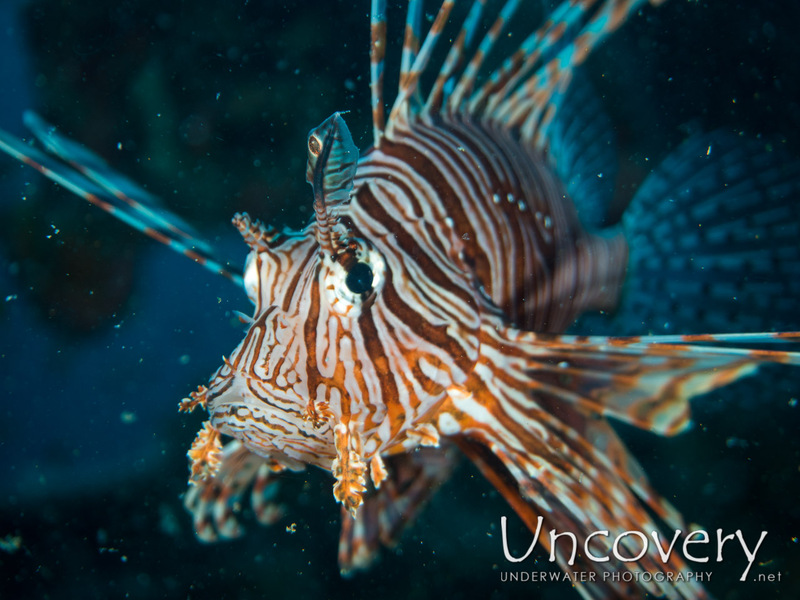 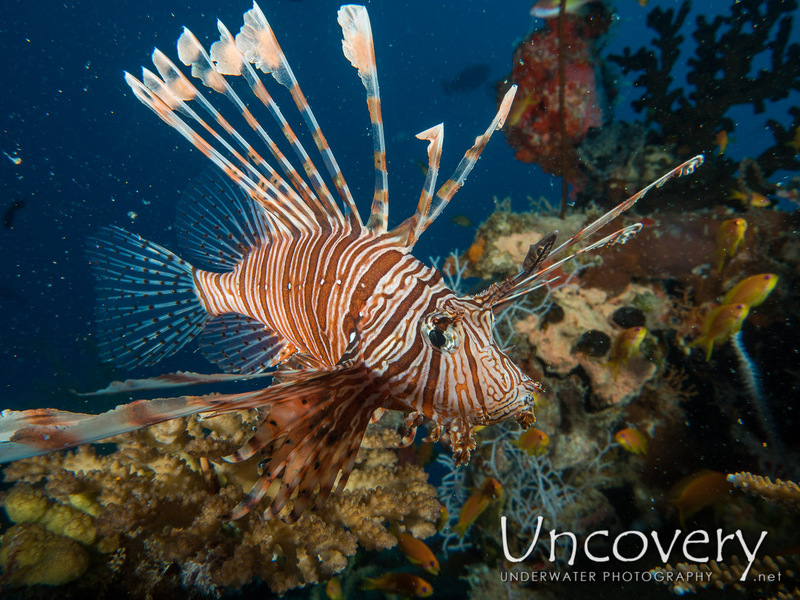 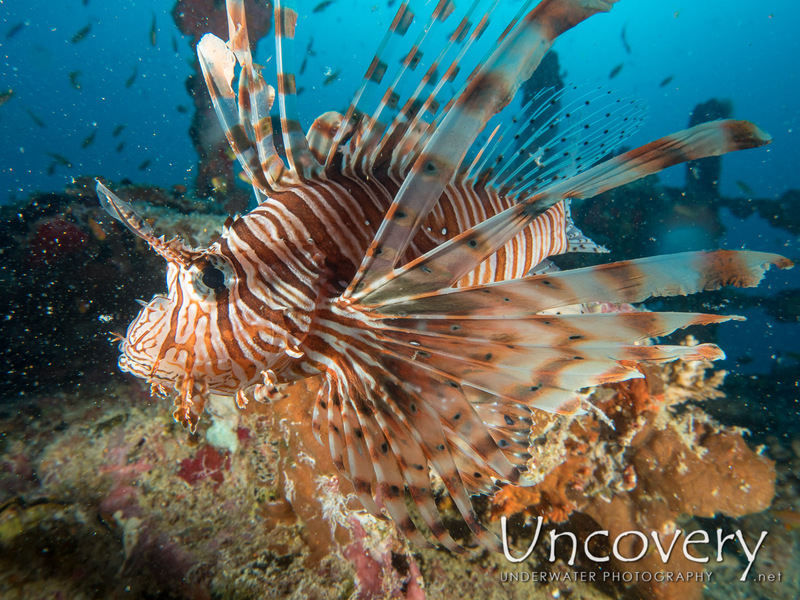 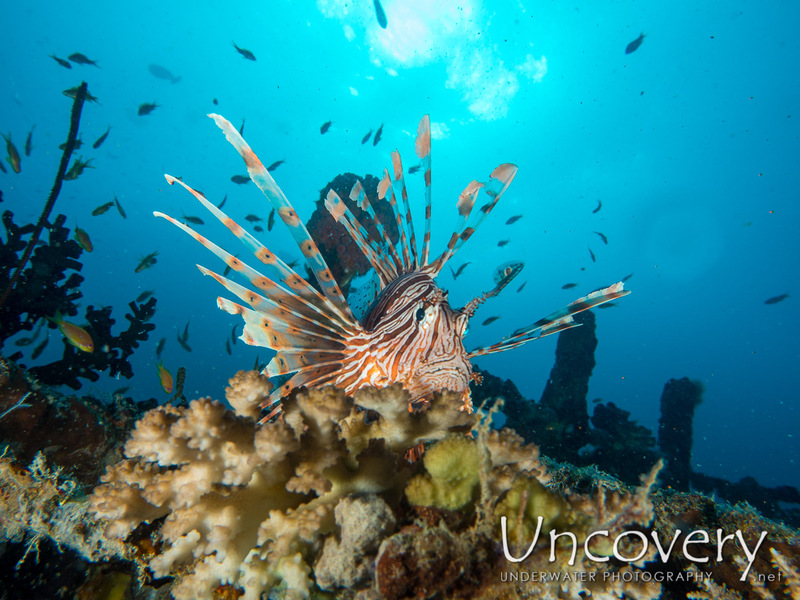 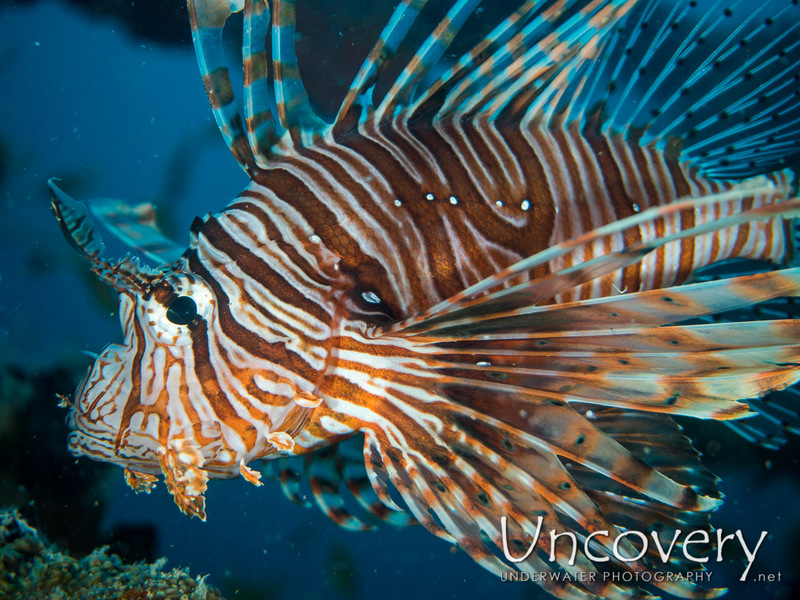 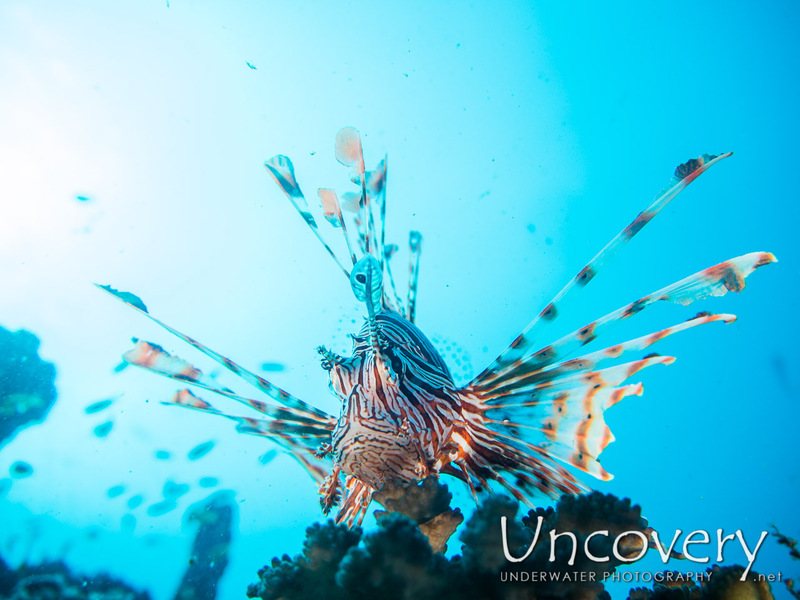 With the visibility improving as the storms of the last days and the full moon went away, we had some more time to inspect the wreck and found the same lionfish again, this time with more efforts to take a better photo. 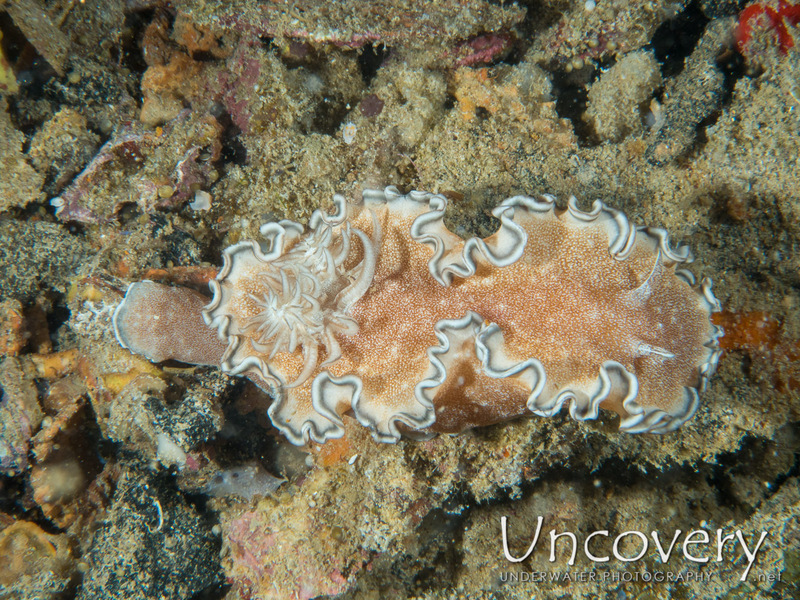 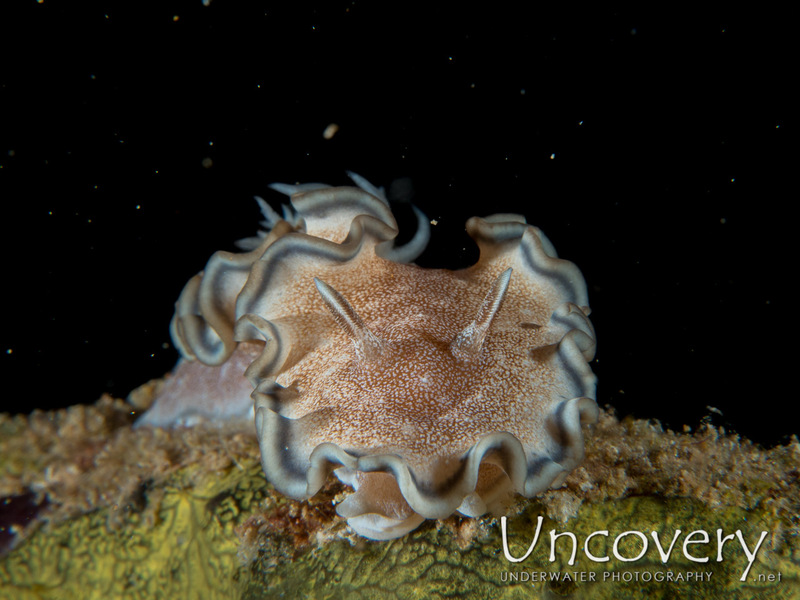 Even a couple of massive nudibranches with eggs were on the top edge of the wreck. 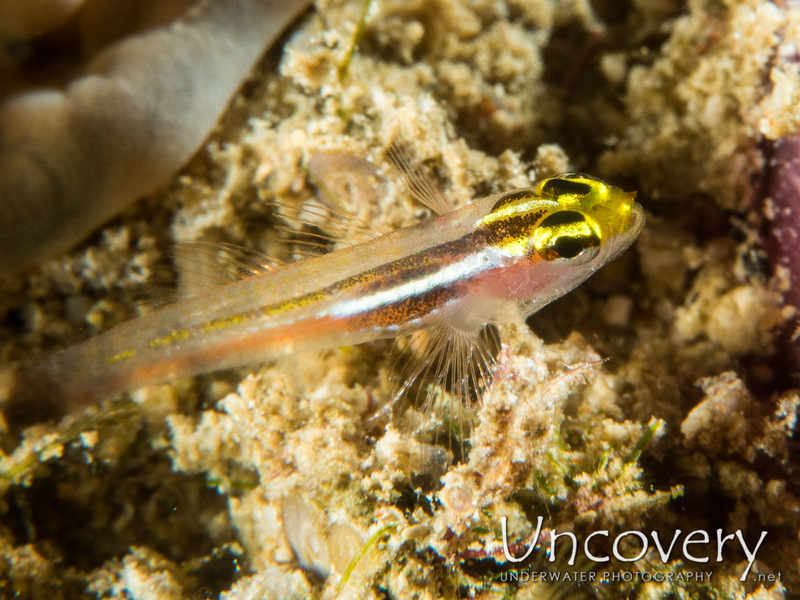 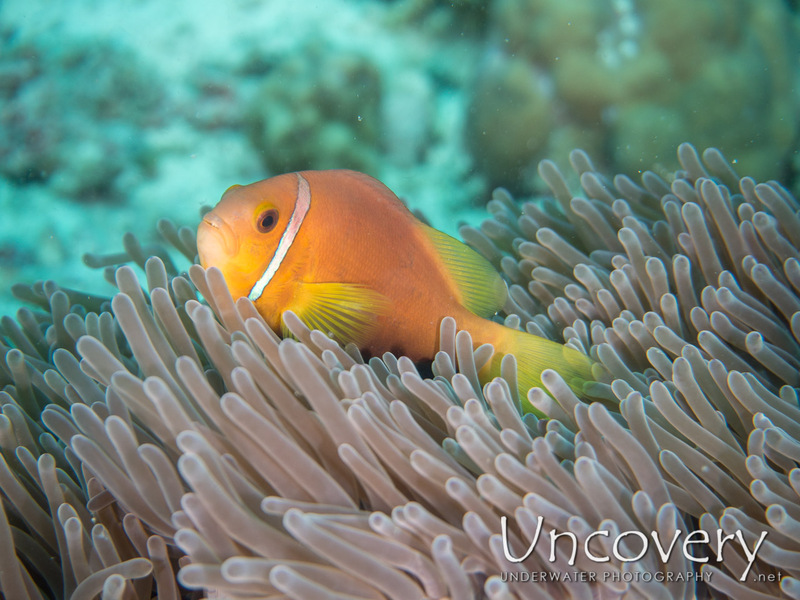 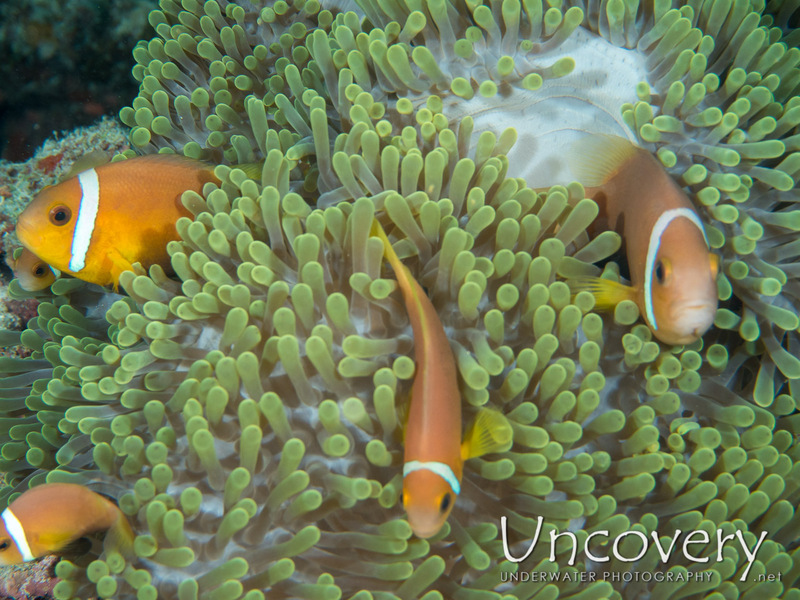 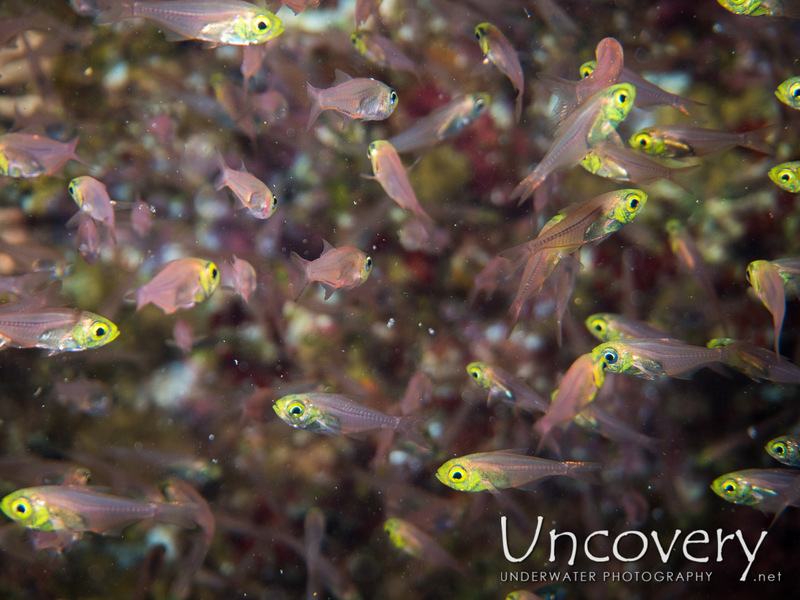 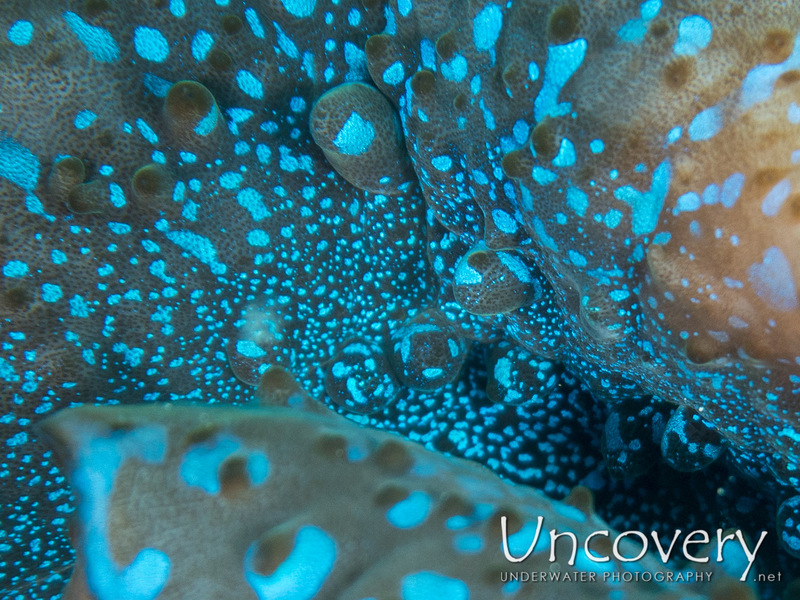 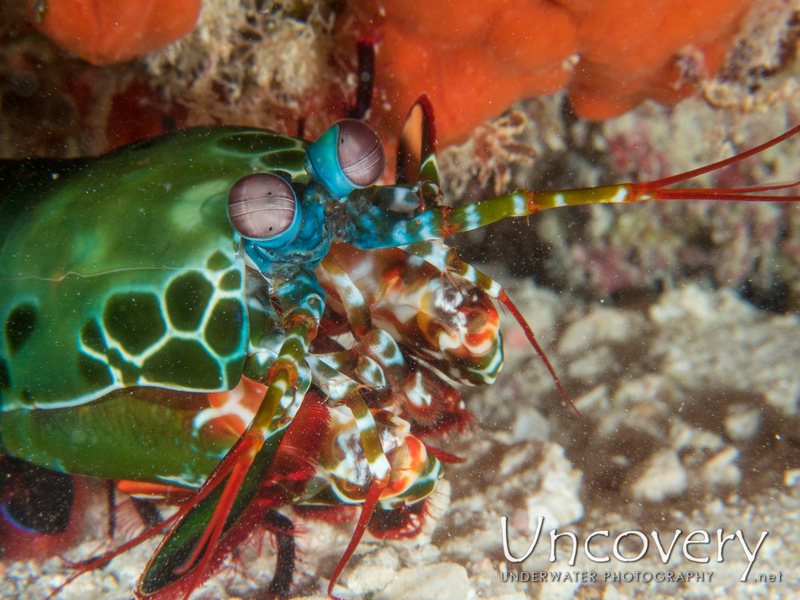 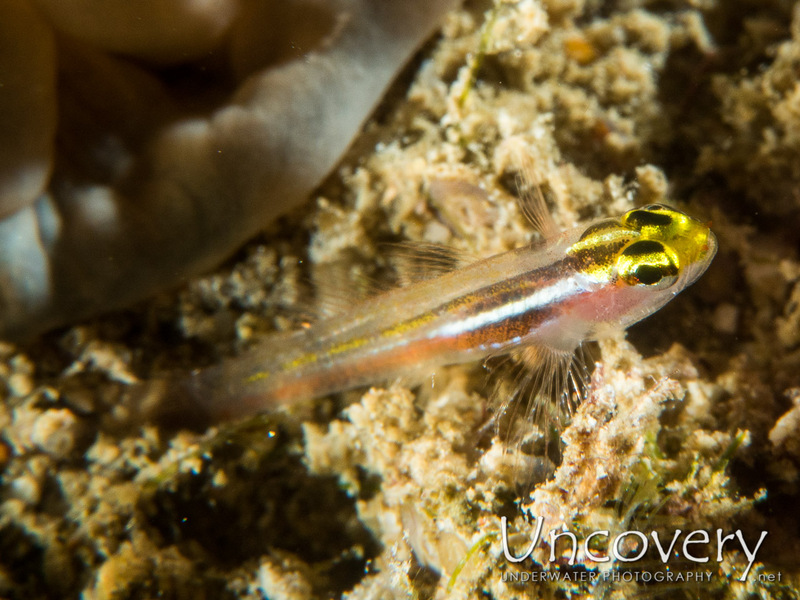 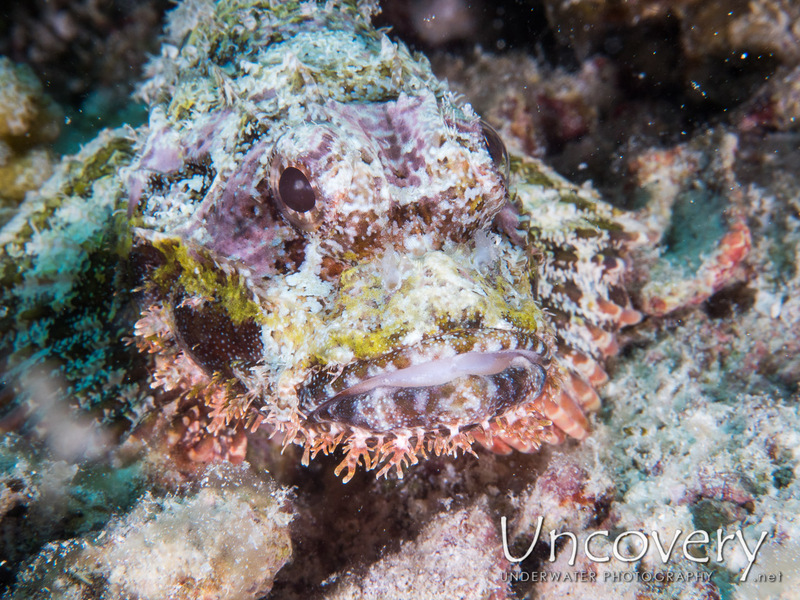 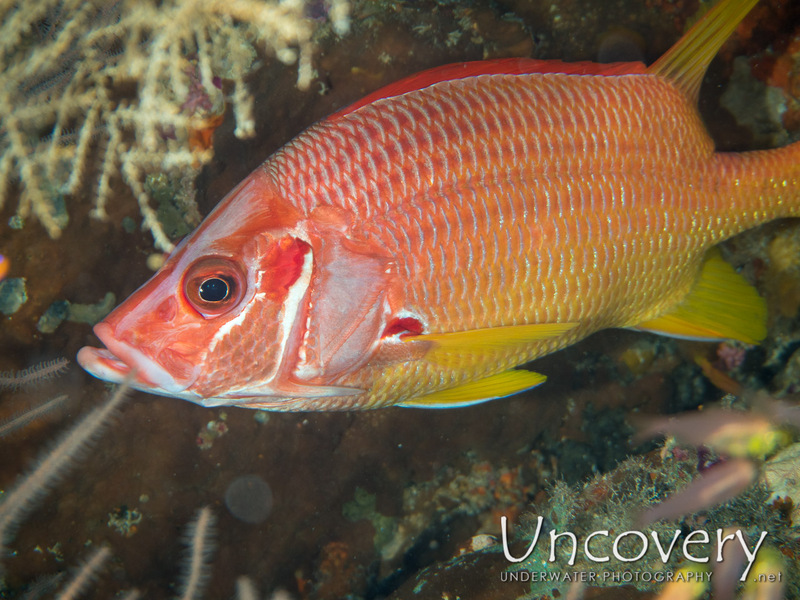 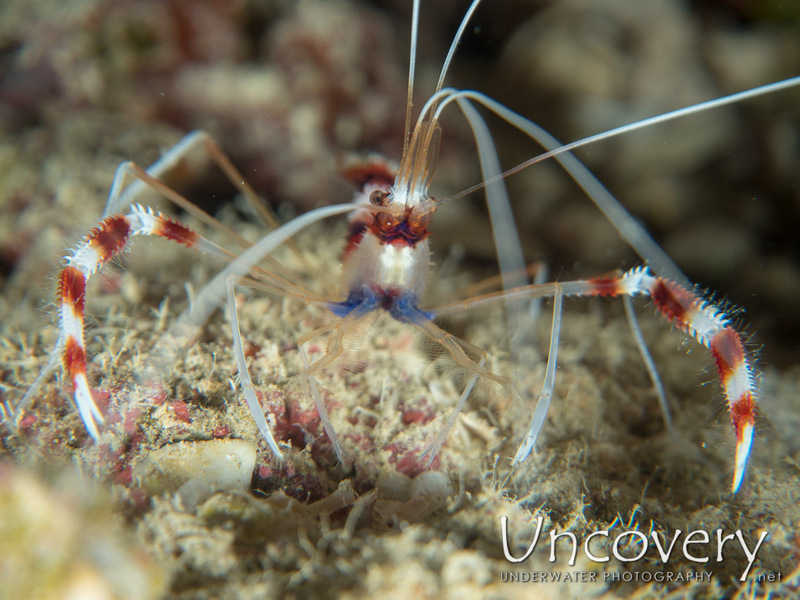 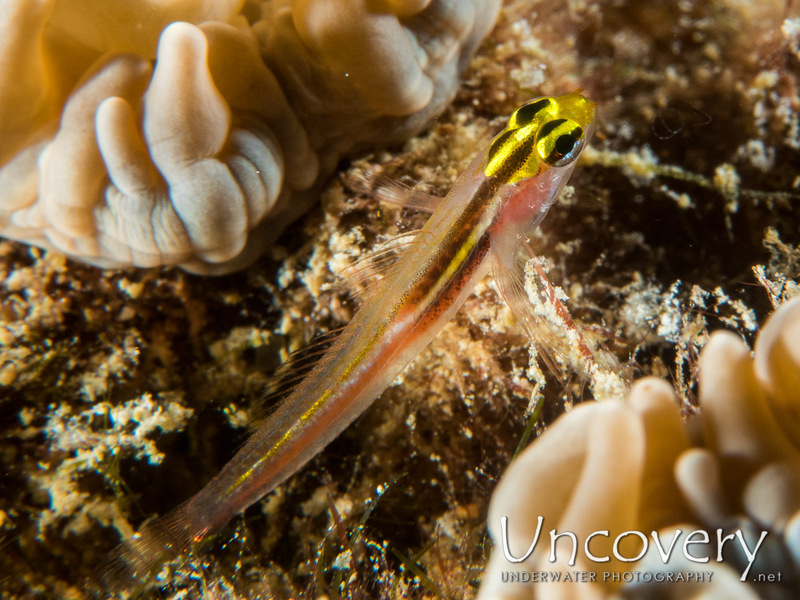 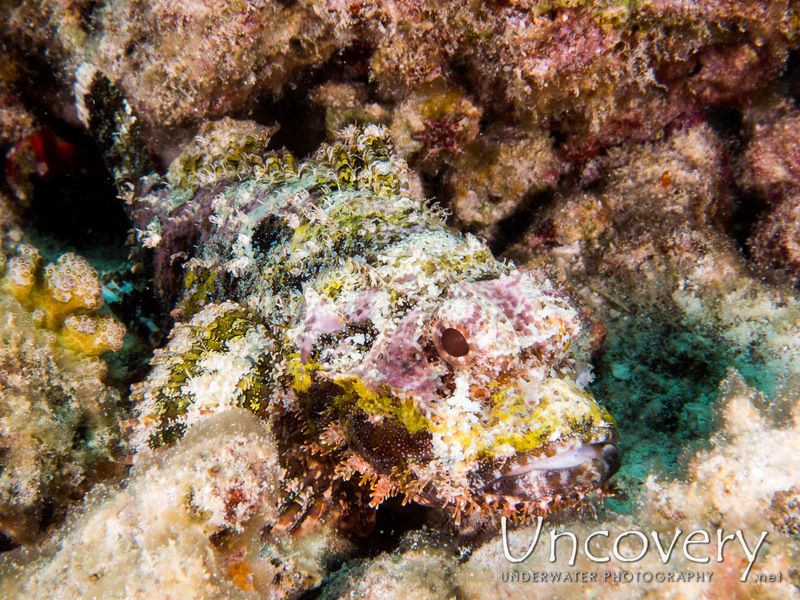 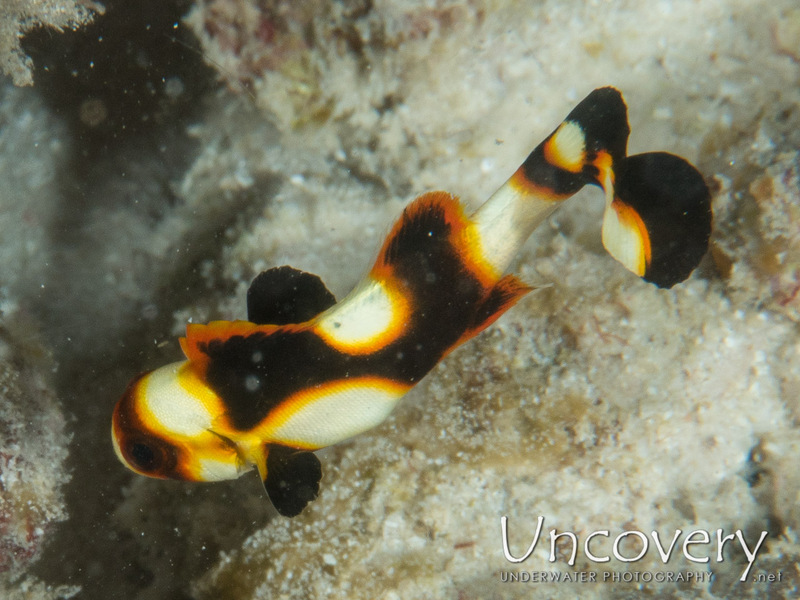 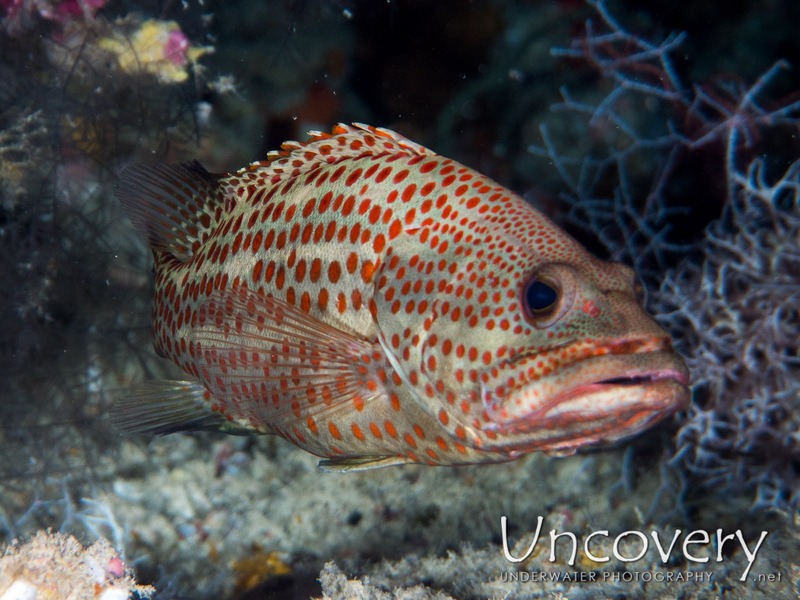 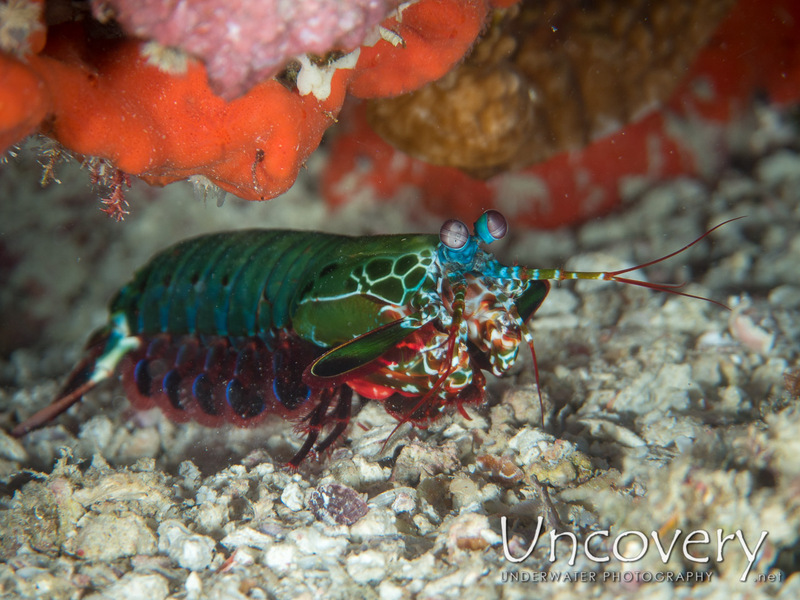 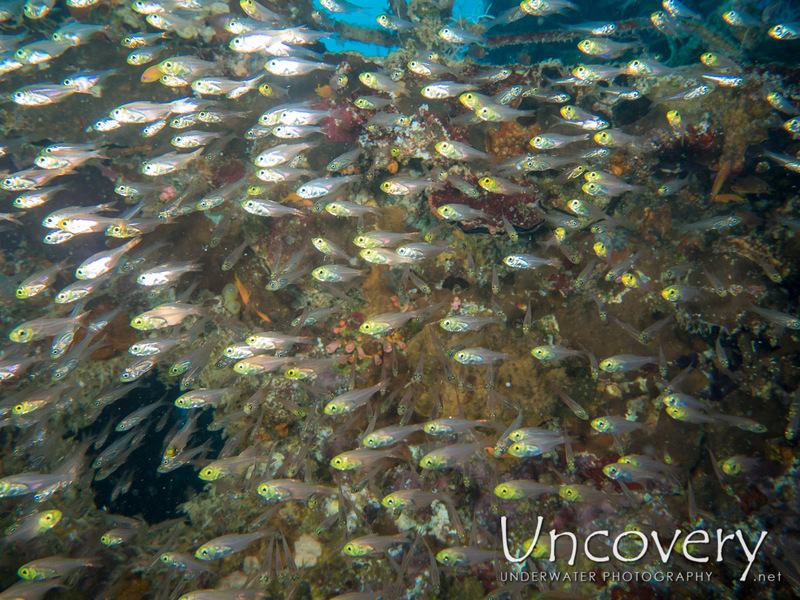 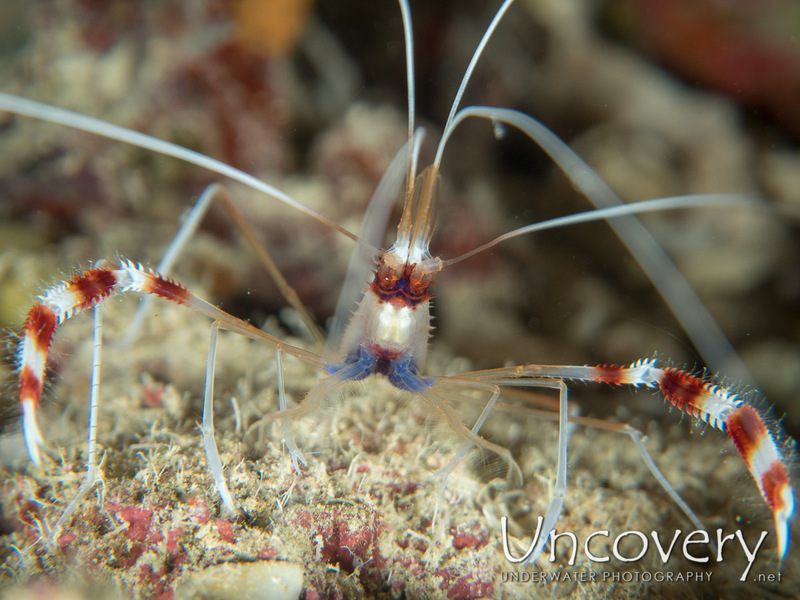 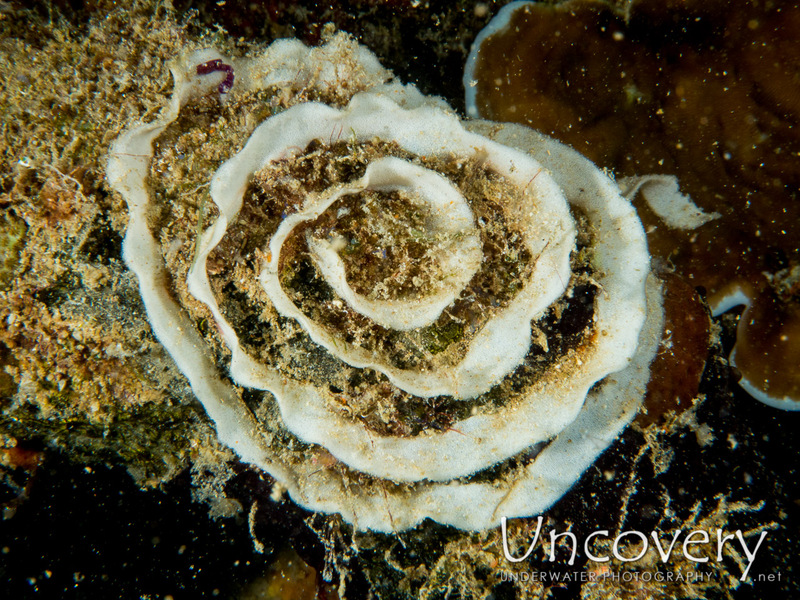 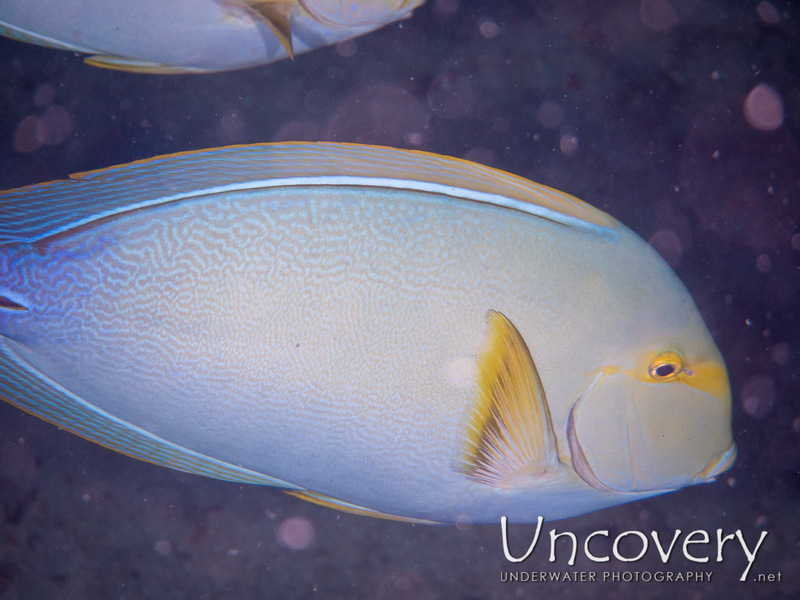 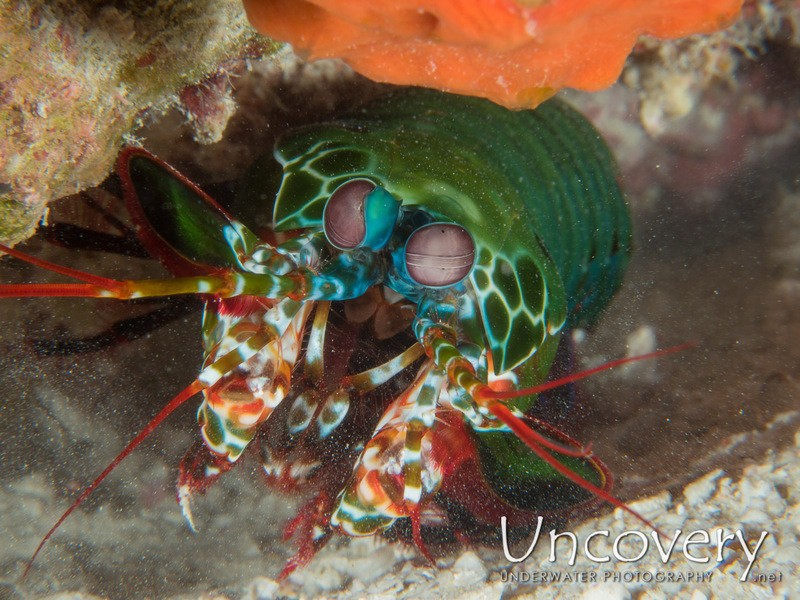 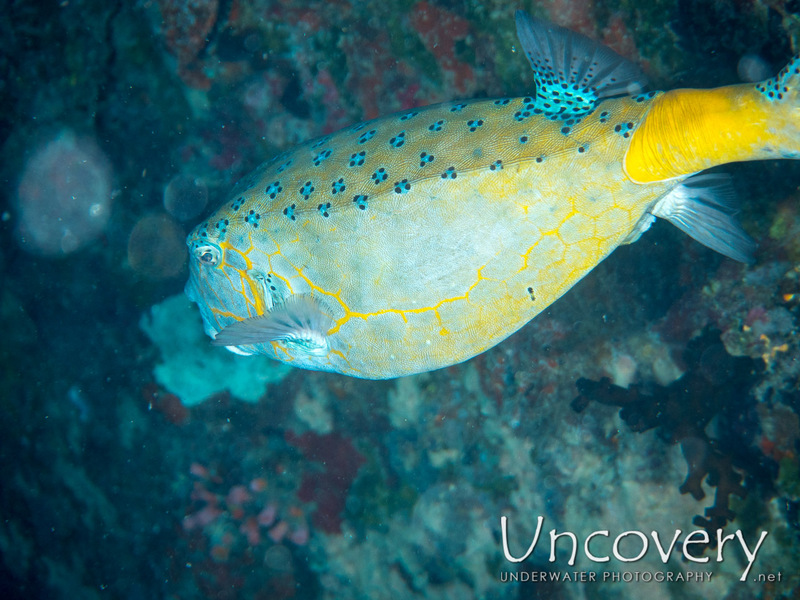 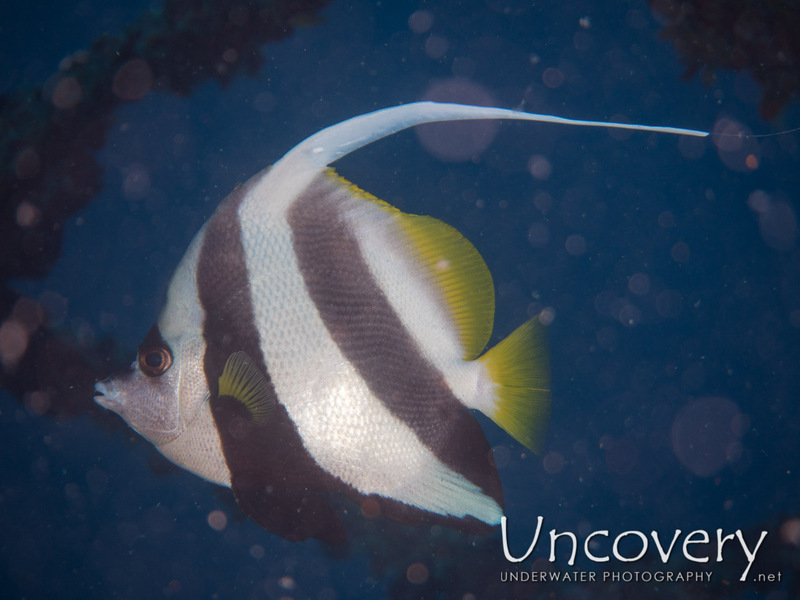 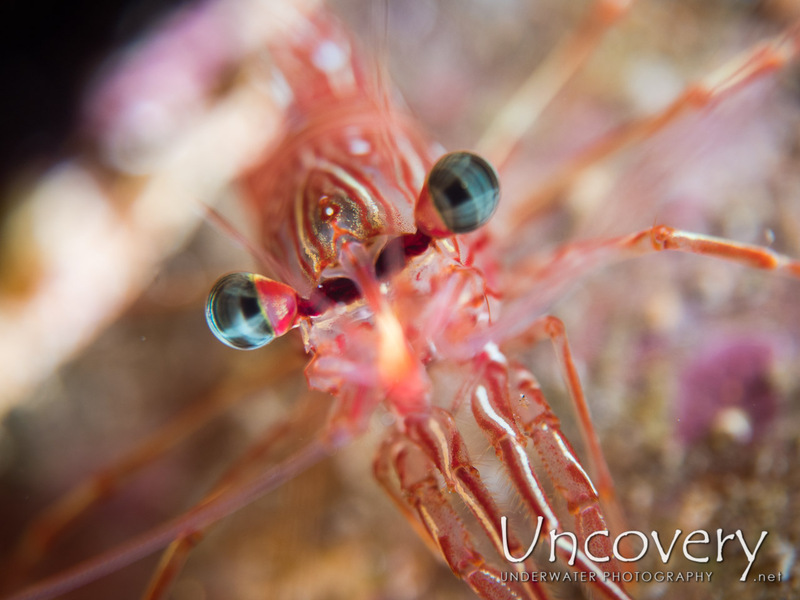 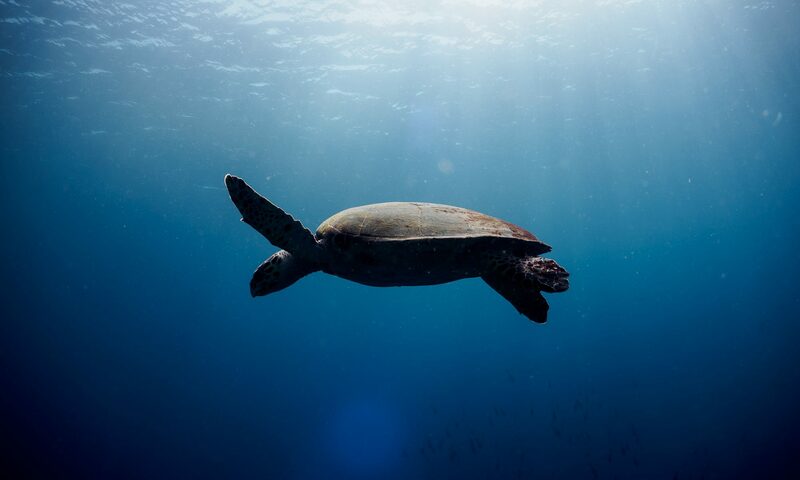 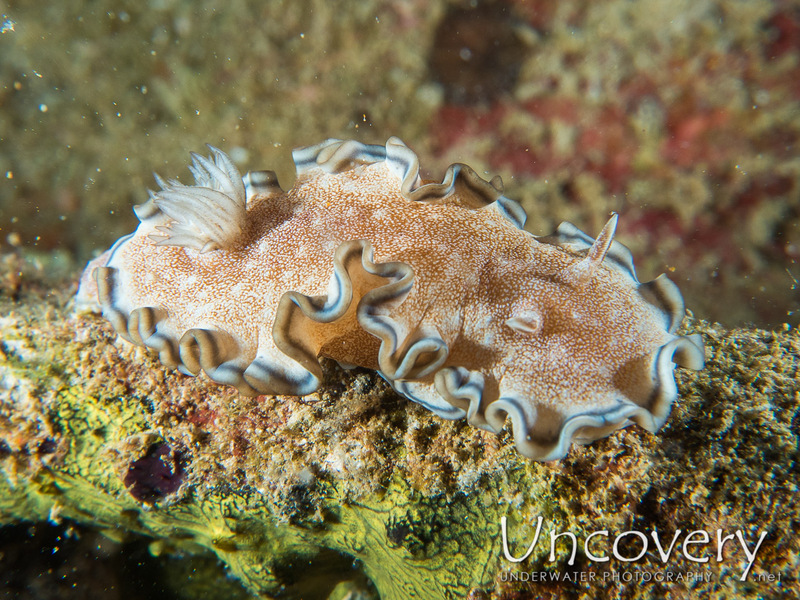 On the way up we found more macro subjects on the reef, another mantis shrimp and even a juvenile oriental sweetlip.